I cannot help but think about this part when I watched the Taiwanese tap dance group “Dance Works” perform inBrooklynlast week. Who knows Asian can tap dance too! And they’re pretty good at it. 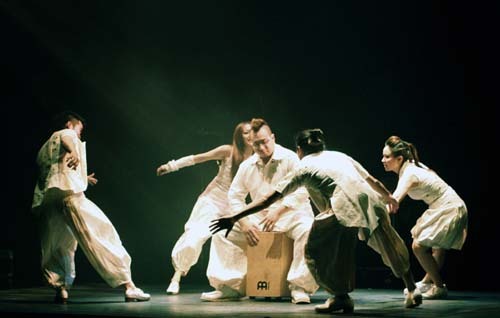 While adhering to tap’s spirit of creative rhythm, they have added the elements of traditional Chinese movements. The result is a more tender and soft tap dance.